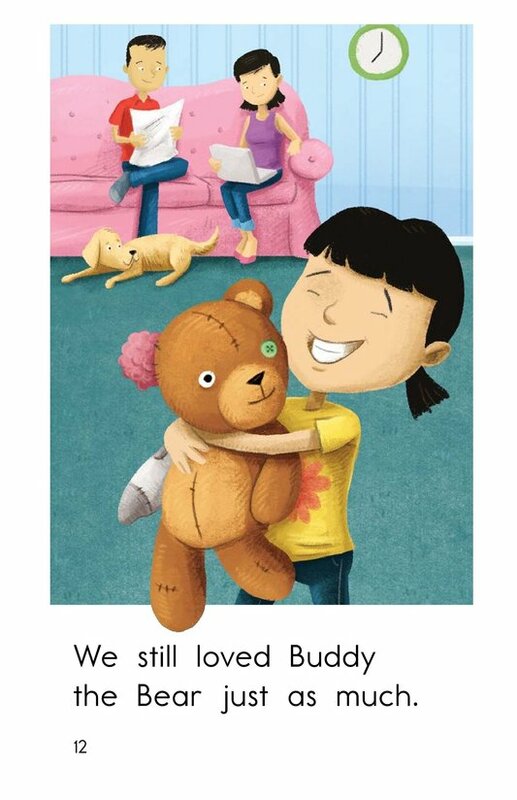 Buddy is an old and beloved stuffed animal who is starting to fall apart. 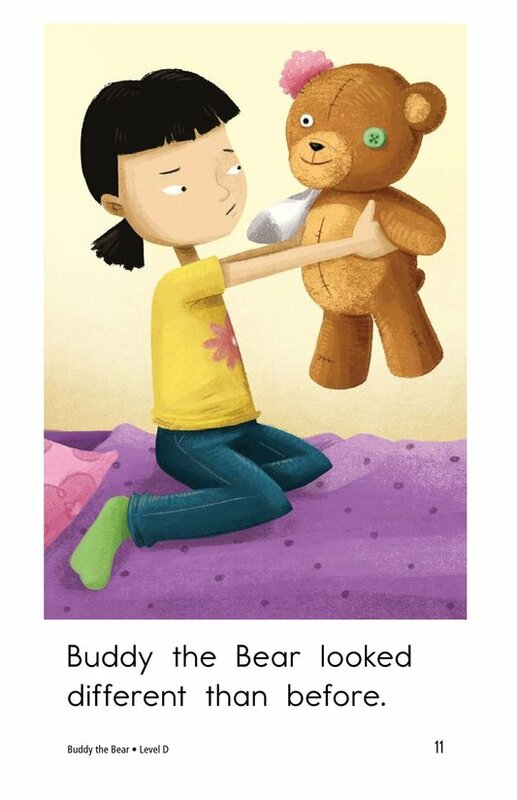 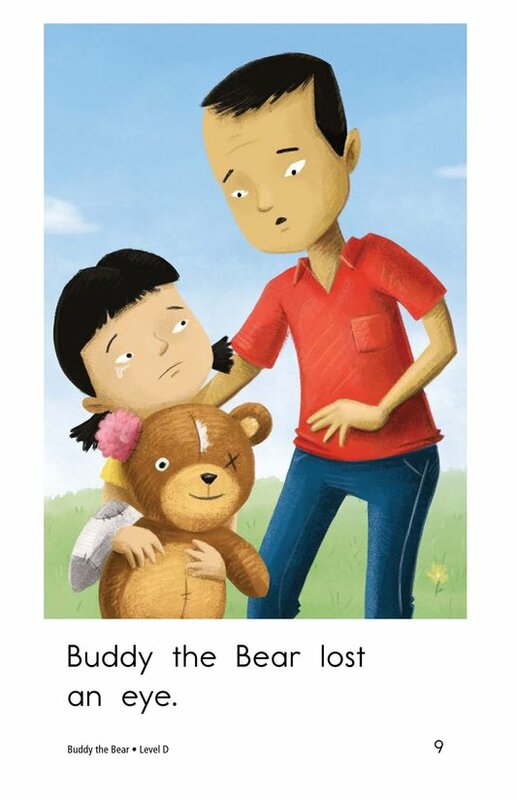 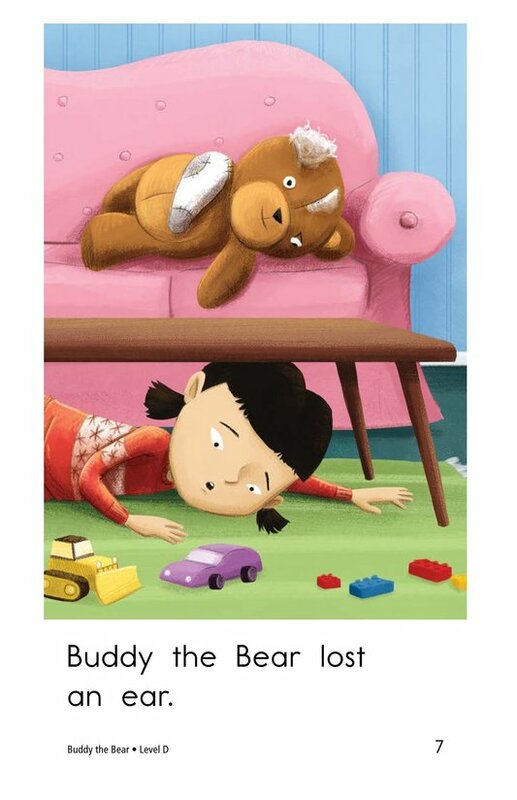 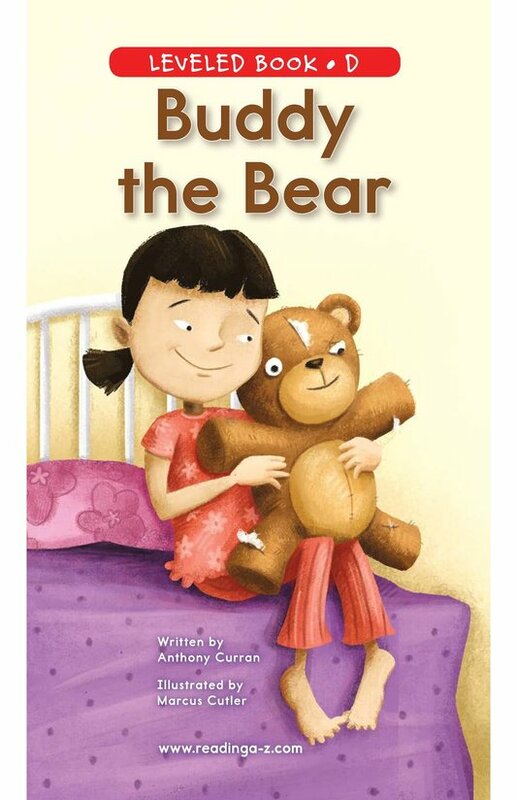 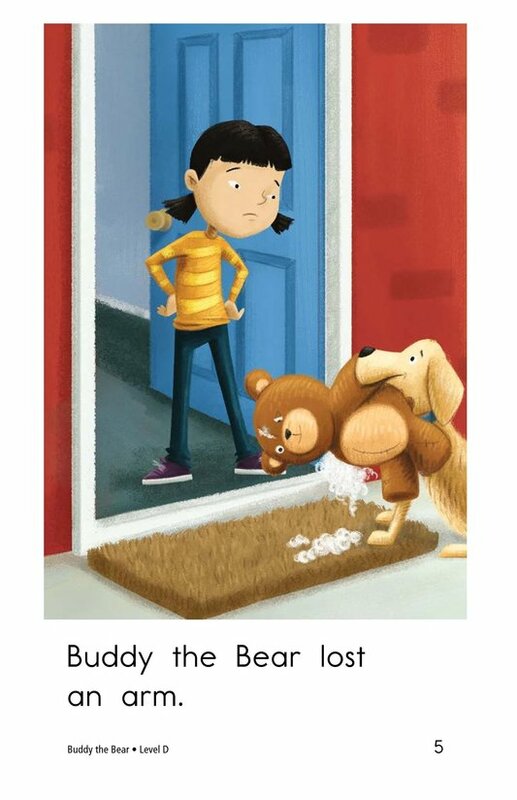 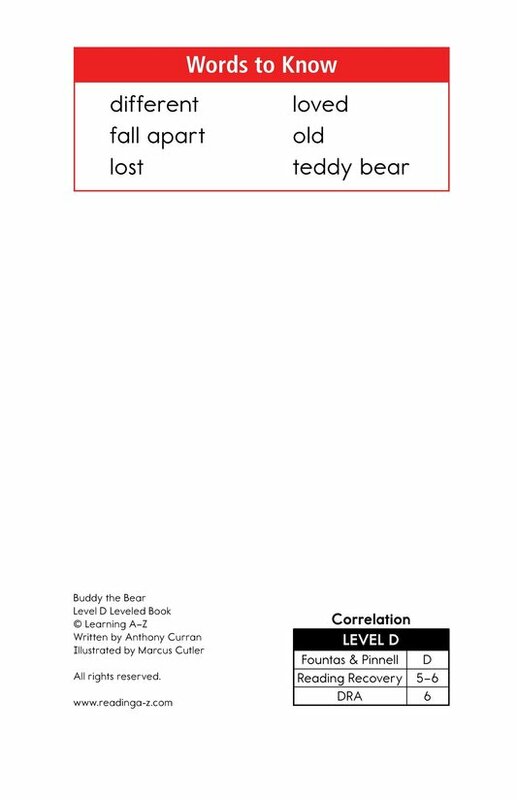 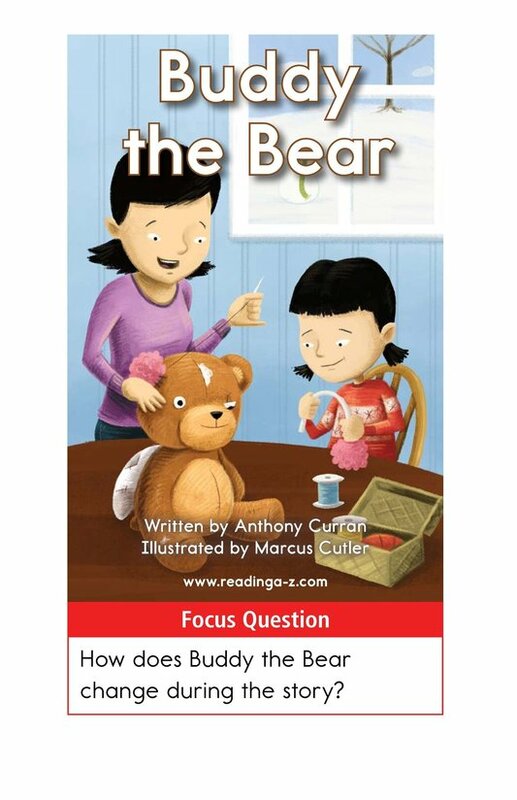 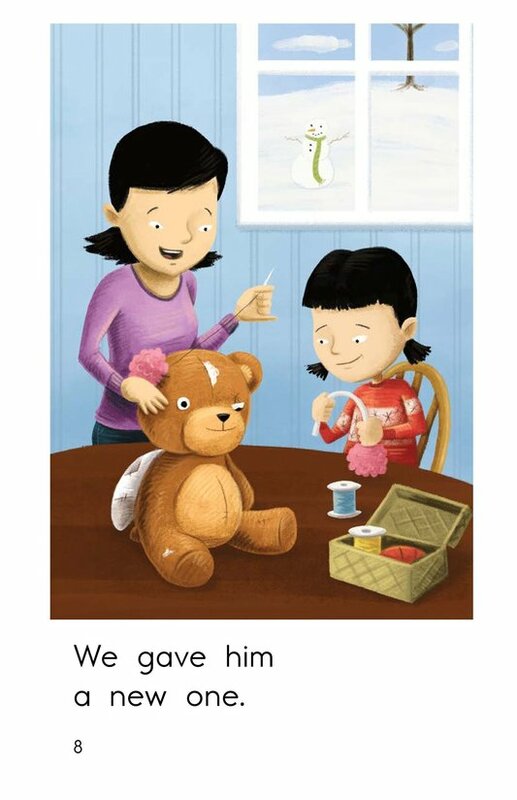 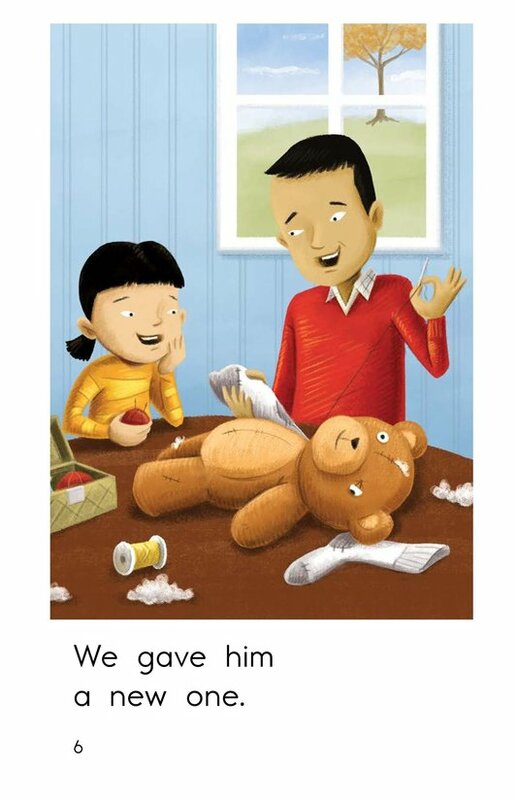 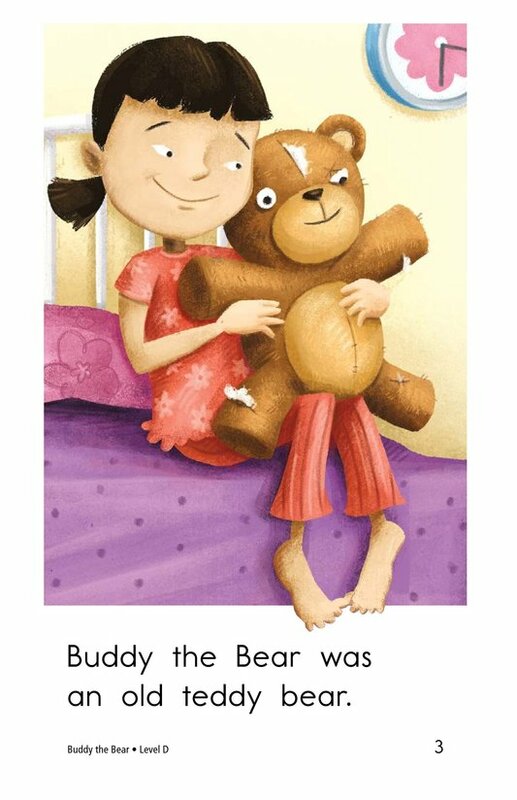 In Buddy the Bear, a girl and her parents find creative ways to keep Buddy in one piece. 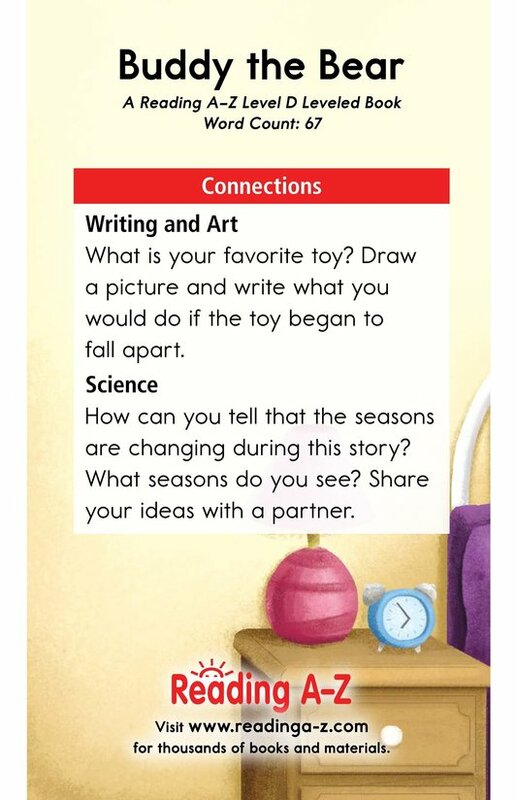 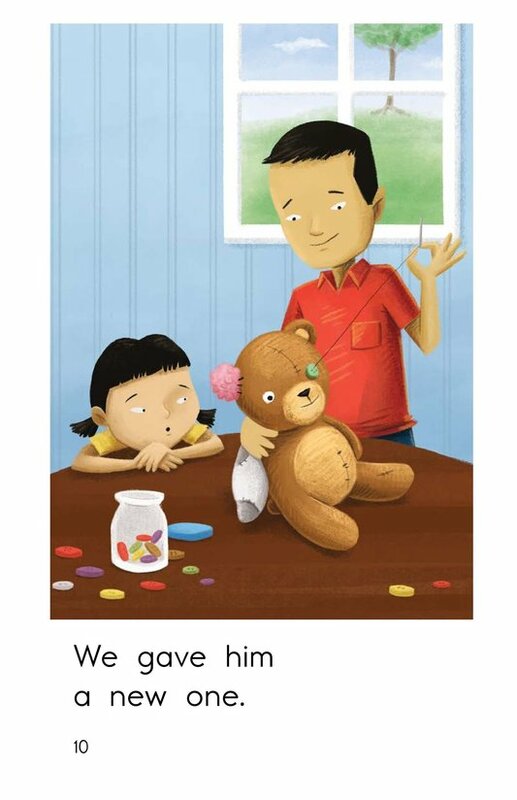 Colorful illustrations, simple sentences, and repetitive phrasing provide support for early emergent readers. 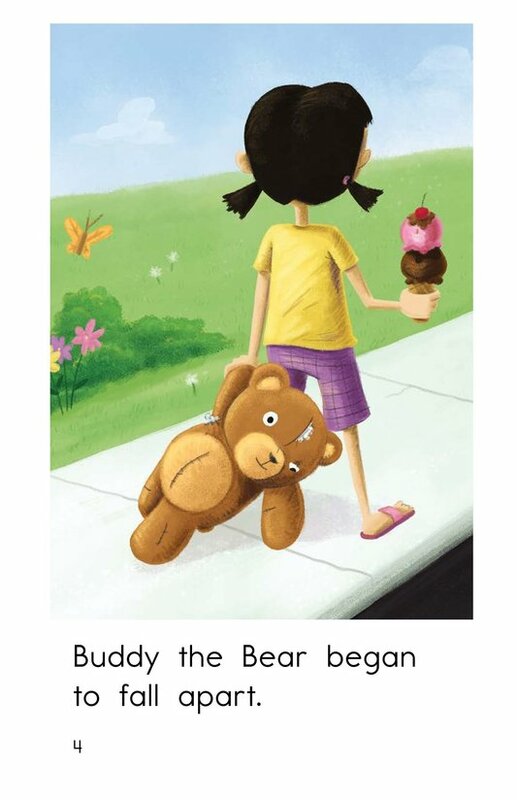 This story can be used to teach students about comparing and contrasting and simple subjects.